Book Size: 11 X 11.625 in. Image Sizes: 7 X 8 in. 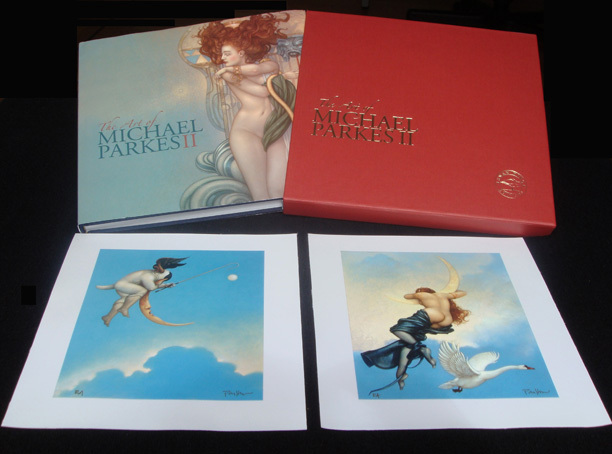 Special limited edition version of the new Michael Parkes book features an embossed slipcover and two beautiful signed and numbered canvas giclees. Highly collectible! Frame your bonus images or keep them with the book--either way you have a great investment in fine art by the world's leading magic realist painter.